Did you know that more than half of your functioning immune system is located in your digestive tract? The small intestine plays a vital role in preventing the absorption of viruses and bacteria, helping prevent you from contracting a variety of illnesses. Increased intestinal permeability can lead to a breakdown in immune functions, leaving you susceptible to a number of conditions. Identifying how well your small intestine is functioning in this capacity can lead to breakthroughs in overall health and wellbeing. Intestinal permeability is the integrity of the mucosal layer within the digestive tract. This protective layer is essential for preventing antigens, bacteria, and undigested food proteins from traveling through the gastrointestinal barrier and entering the systemic circulation. When the mucosal layer becomes compromised, the results could be an immune up-regulation. Diagnosing intestinal permeability can be difficult without the help of tests as symptoms can greatly range from emotional to gastrointestinal distress. 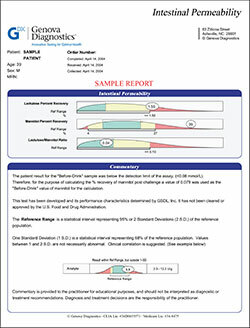 The Intestinal Permeability Assessment is a non-invasive, yet powerful, assessment of barrier function of bowel and small intestinal absorption. Also known as “leaky gut” intestinal permeability, as well as malabsorption, is associated with chronic gastrointestinal imbalances and other systemic disorders. As a digestive absorption organ for nutrients and powerful mechanical and immune barrier against excessive absorption of food antigens, bacteria, and other macromolecules, the small intestine is highly important to how the body functions. Treating intestinal permeability is crucial for better wellbeing. A healthy gut prevents undigested food proteins and other toxins from being absorbed by the bloodstream. Maintaining the health of the lining of your stomach is important as more than 50 percent of your immune system is located within your gut. Having intestinal permeability or “leaky gut” can cause foods that would otherwise be harmless to leak into your bloodstream, resulting in allergic reactions. This allergic reaction arises when the body views the leaking food as a threat. Treating it will stop this auto-immune response. Undergoing testing and treatment is not only important for your physical health, but also your mental health. Your stomach is considered to a second brain, as it contains 95 percent of serotonin produced in the body. When you suffer from a leaky gut, the level of serotonin is disturbed, causing a variety of mental problems, such as eating disorders and depression. Healing your leaky gut can eliminate these types of problems. At Vitalia Healthcare in Vancouver, we offer Intestinal Permeability Assessment Testing, in addition to a wide range of other service. 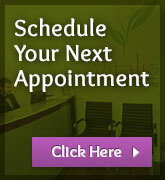 To learn more about the testing and treatments we provide or to schedule an appointment, call 1-604-566-WELL (9355).